Take Aways: ART TO GO 2019! 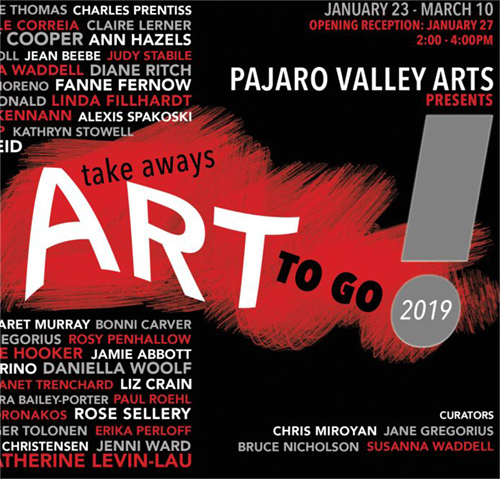 Pajaro Valley Arts invite all to their annual fundraising exhibition featuring 67 of Santa Cruz county’s most notable artists. Open reception, Sunday January 27, 2-4pm. Closing reception & raffle, Sunday March 10, 2-4pm.